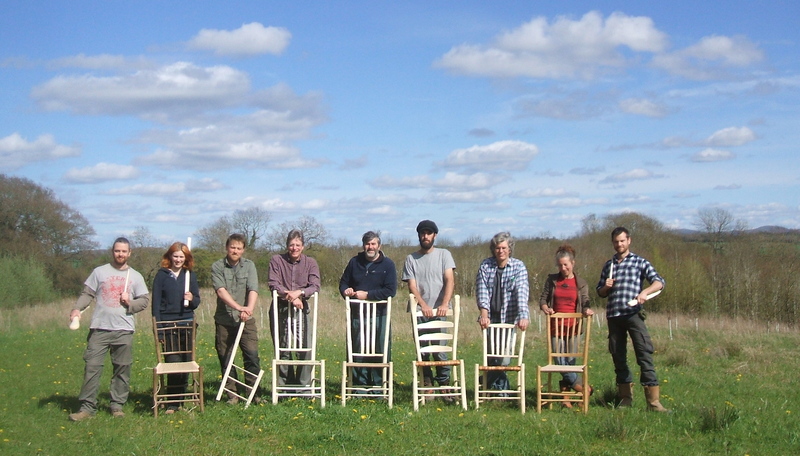 Having made all the parts for the chairs on Monday, Tuesday and Wednesday, Thursday had been spent in the sun starting the process of assembly. By the end of Friday the chairs had been fully assembled and oiled. Jo Morton had delivered a load of wych elm bark and I had talked to the group about the other options for seating their chairs. 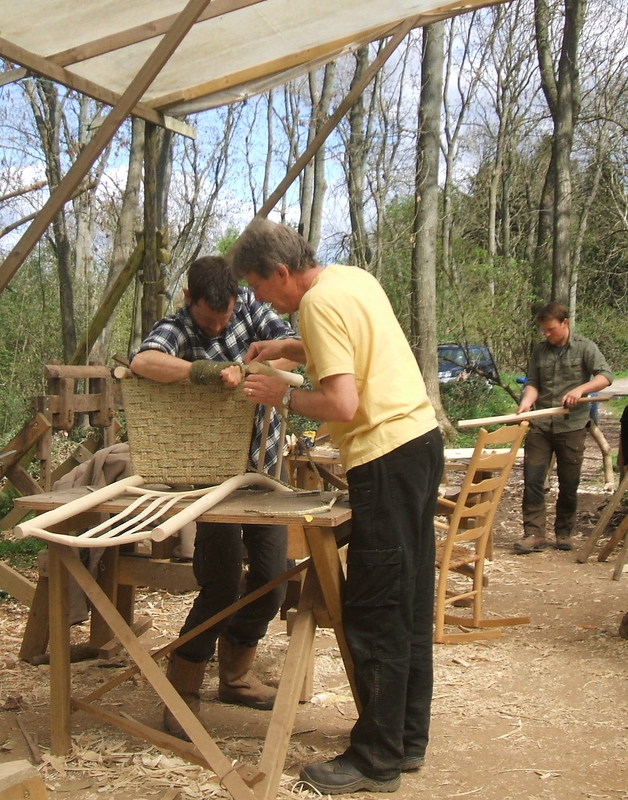 On Saturday (May 4th) Hans and Fransisco went for the wych elm and settled themselves among the anaemonies beneath the emerging cherry blossom to work on their seats. 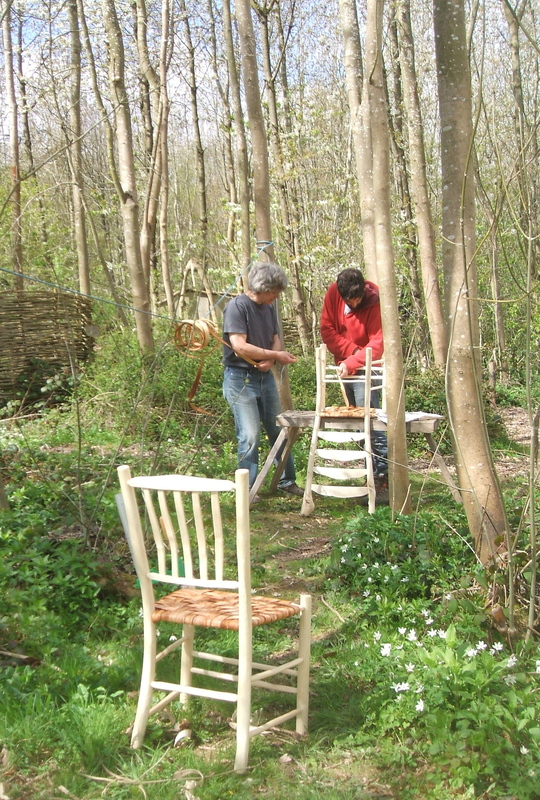 Hans and Fransisco applying wych elm bark to their chairs, surrounded by spring flowers. 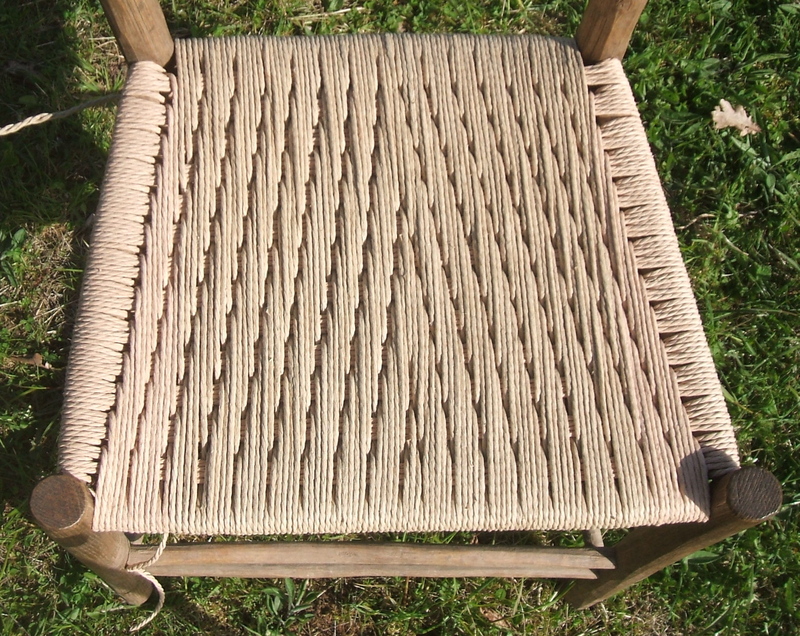 James helped Ian weave his seat using kambaa (a plaited palm cord from Tanzania) to match the chair he had made on a course a few years ago. Phil decided on another variation of the woven Irish pattern that we have been developing over the last two years, as described in one of my earlier blogs. 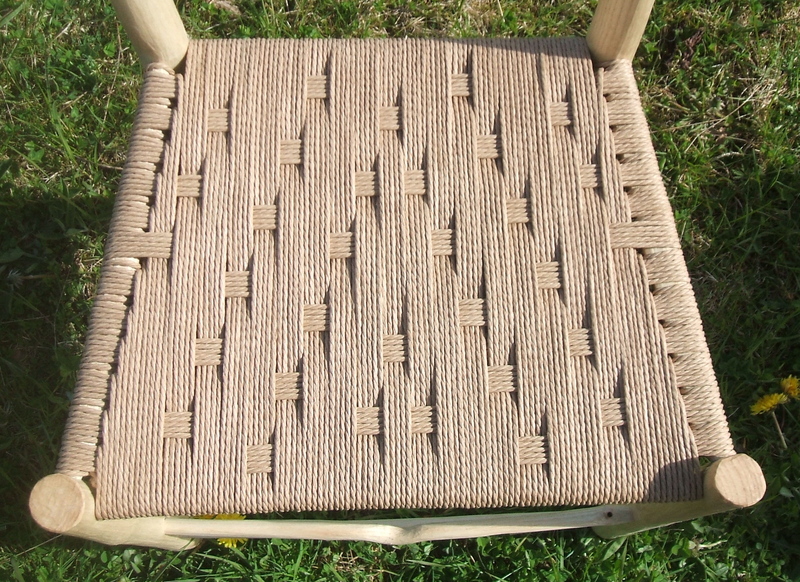 Phil’s seat with Danish cord in a woven Irish pattern. JoJo completed yet another variant of the woven Irish pattern based on Beth’s seat from September 2012, which in turn was inspired by Emma’s woven stool from 2009. Aly joined us for the day to replace the seat on a chair she had made a few years ago. When they were all finished, they undertook the obligatory ‘end of course’ pose on the verandah, with the Malvern Hills in the distance, still visible before the leaves emerge.